Product is what the label states. 5-MTHF 1 mg by Thorne Research is Great! 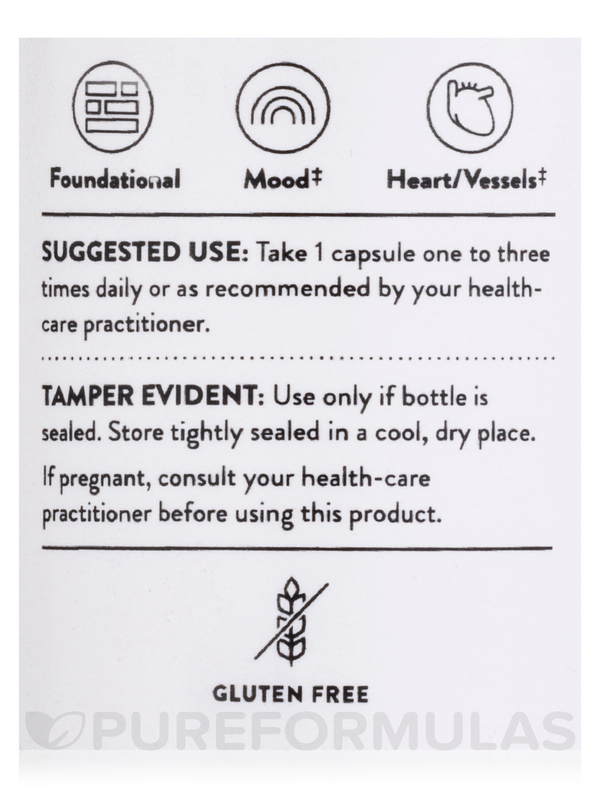 Pureformulas.com has the best price for 5-MTHF. This product was too strong for me and caused my stomach to be upset. I have a Dx of having a MTHFR gene. 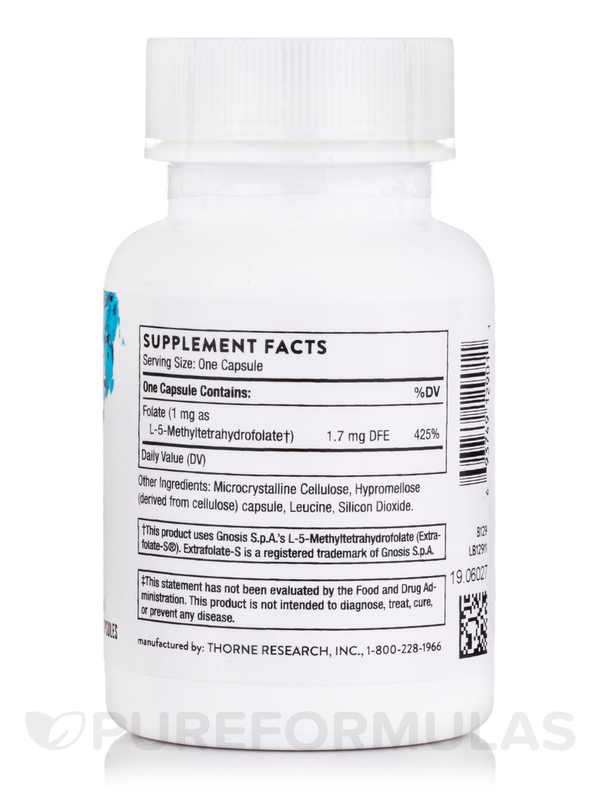 I take this 5-MTHF 1 mg by Thorne Research and I believe it has been beneficial over the years. 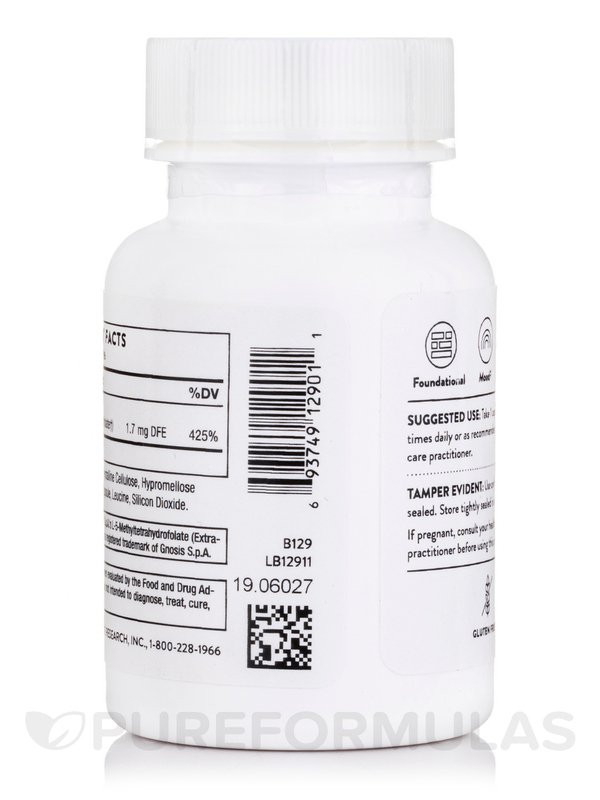 I take 5-MTHF 1 mg by Thorne Research once a day after breakfast. It has kept me from having anxiety. No loner have anxiety or panic attacks. Amazing product! After being tested by my natural path, she put me on this 5-MTHF 1 mg by Thorne Research. What a difference it has made in my life! My energy is back to where it was when I was a child! 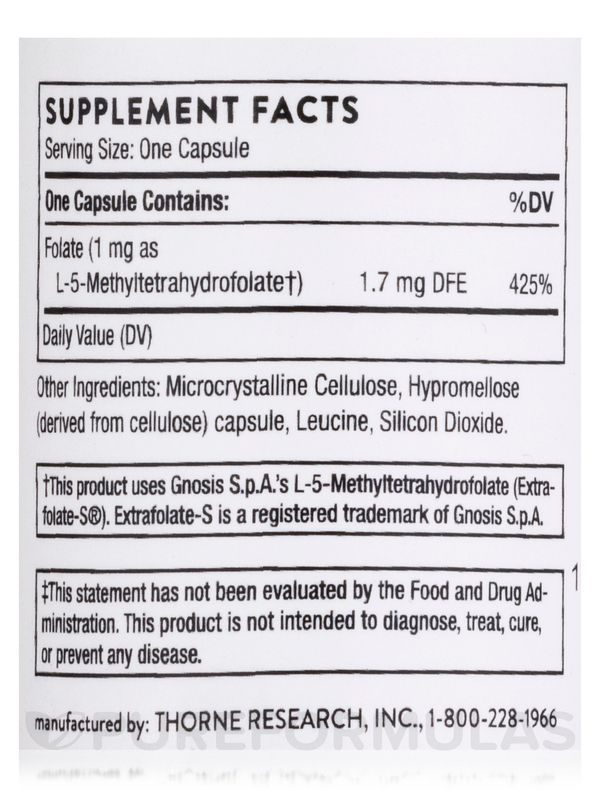 I was prescribed this 5-MTHF by Thorne Research supplement by my Naturopath after finding out I had MTHFR gene mutation and cannot process folic acid. I have noticed an improvement in my energy and my mood after starting this supplement. I've been taking it for 2 months and was told to increase from 1mg to 2mg after a month, and then to check back after 3 months. So far I feel like it's helping! It has improved my energy and my mood. I've noticed less depression for sure which is awesome. The only con is that it definitely caused increased anxiety the first week of using it. I was made aware that could happen so I just noticed it, accepted it, and was able to get through it knowing that it was likely caused by the medication and my body was just getting used to it. It's just something to be aware of. 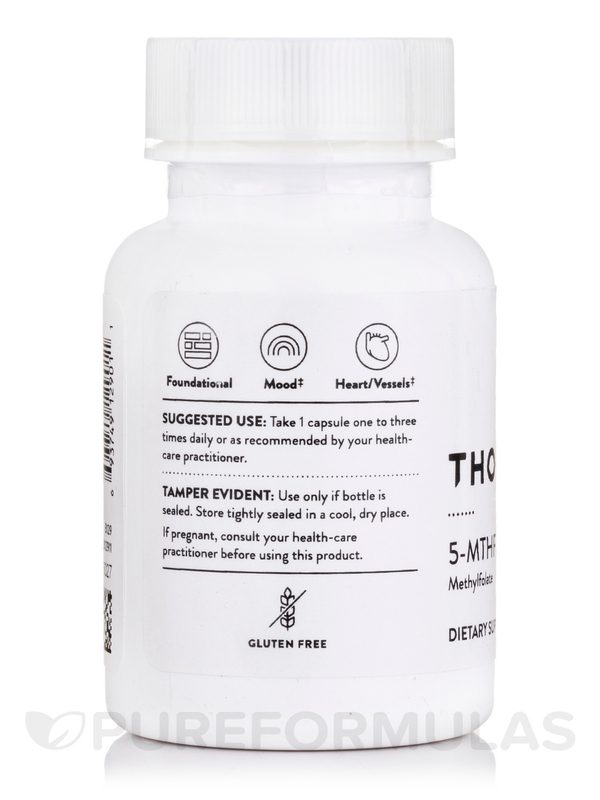 My doctor recommended 5-MTHF by Thorne Research for stress. It has made a difference! My doctor put me on 5-MTHF because my body does not process Folic Acid properly. Since I have been on this product by Thorne Research my depression has lessened dramatically. I am only able to take 1 mg tab a day as more of it causes me to have muscle pain. To large a dose can cause muscle pain. I tried taking 5-MTHF by Thorne Research. After taking it, I felt much calmer and happier than usual. However, later on I started having what are commonly listed as side effects of 5-MTHF, such as body aches and heart palpitations. It's important to start slow (some people need to start as low as 200 mcg, which would be 1/5 of the dose of one of these pills). There are other supplements that one can take to prepare one's body for 5-MTHF. It's a delicate balancing act. I plan to continue using 5-MTHF in the future after preparing my body more thoroughly. I trust this brand, and believe it to be high quality and pure. 5 MTHF by Thorne Research helps me absorb iron. It was recommended by my doctor and it works! It does what it is suppose to do. It is easy to swallow. 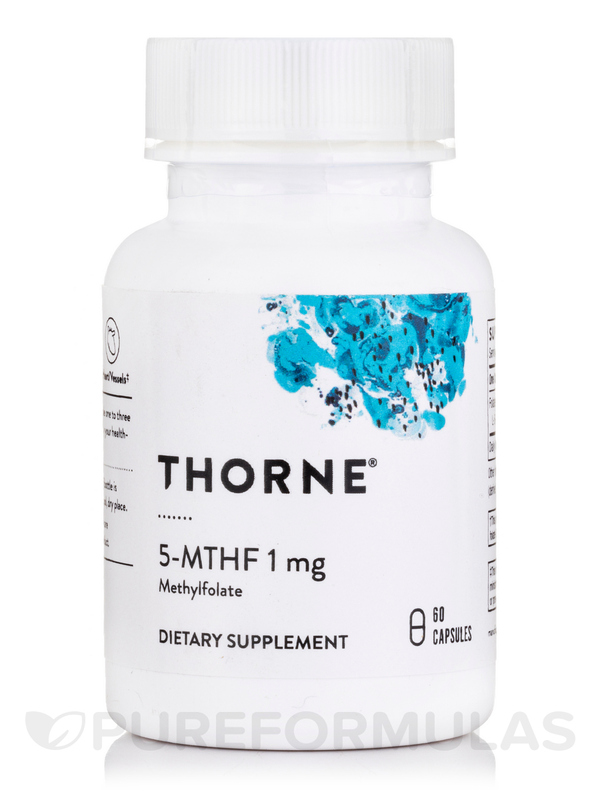 I bought 5 MTHF by Thorne Research because I have read it is the optimal form of folate. It has no side effects, and seems to be doing what it's supposed to do. Tiny capsules are very easy to swallow.